SGA and Phi Theta Kappa students Calving Miley, Brittany Rosario, and Susan Paniagua Santos, along with SGA moderator Terry Keyes delivered toys contributed for this year's Toy Drive campaign. The Toys were delivered to the White Plains Hospital. 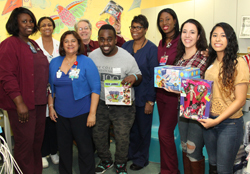 The staff from the Pediatrics Ward offered their gratitude as CW students distributed the toys in the hospital. 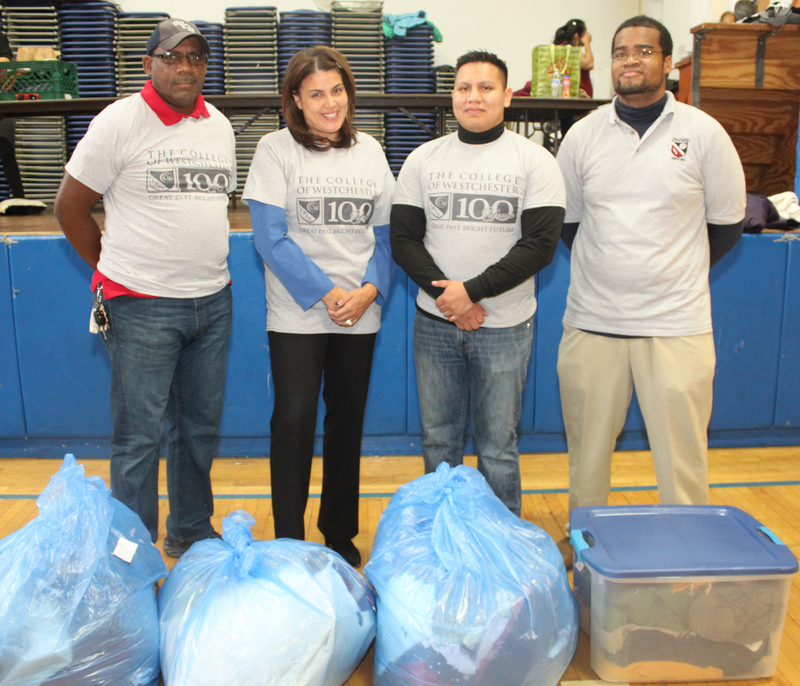 The Stars and Stripes Club at CW collected winter clothing for Caritas of Port Chester. Through their Open Closet Program, the organization distributes clothing to men, women, and children. Orientation Day is an opportunity for newcomers to be introduced to campus, faculty and staff members. It is also a great opportunity to network with other new students. We want all new students to ‘be in-the-know’ and kick-start their first semester the right way. CW welcomed our evening students during yesterday’s Adult College Fall II New Student Orientation. Students were greeted by Dr. Warren Rosenberg, Provost and Vice President of Academic Affairs.